Every individual has the potential to contribute to society, which needs to be nurtured, in order for it to blossom. A supportive family combined with a stimulating learning environment is essential for the child to grow and establish his or her place in this world. We have been running a successful education company for over 12 years across the Middle East & India, which is recognized for its quality. Having advised governments, corporations, schools, parents and students we know what it takes to provide high quality education. 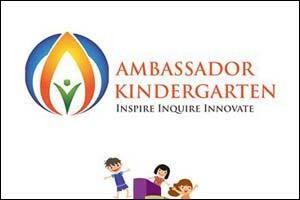 Building on our decade-long education service excellence in 2010, we started our first school – Ambassador School. Within three years the school has become one of the leading international schools in Dubai. Following the success of our school, in 2012 we launched Dubai’s first dedicated 21st Century Kindergarten facility- Ambassador Kindergarten. In order to address the emergent need for innovative quality education programs that facilitate learning, in 2012 we established Ambassador Education. We are committed to the pursuit of excellence and leadership in education services. The curriculum in our schools are based upon leading pedagogical models from around the world and designed with the understanding that every child matters.